With such a great variety of excellent Padron cigars out there, it can be hard to choose just one - now you don't have to. The Padron Top-Shelf Collection Natural Sampler showcases a range of flavorful lighter-wrapped handmade cigars, all of which demonstrate the creamy Nicaraguan taste that Padron has become famous for. 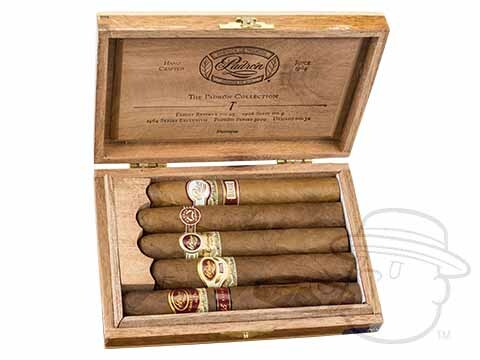 Packaged in rustic wooden boxes of 5 unique cigars, this is the ultimate sampler for Padron acolytes and newcomers alike.